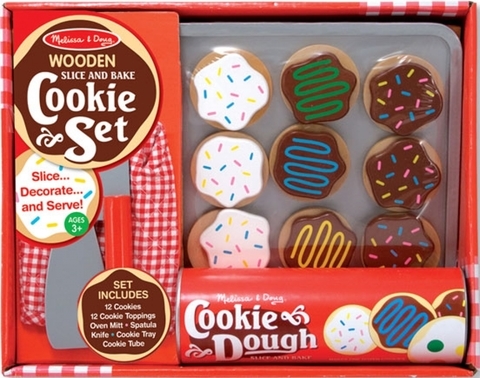 What’s does the Melissa and Doug Wooden Slice and Bake Set include? Does your little one love to be a kitchen helper? 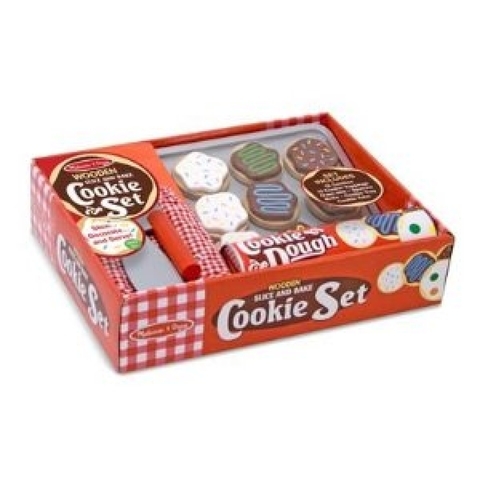 With Melissa and Doug Wooden Slice and Bake Cookie Set allow their imagination to soar . Little Bakers will love cutting into the cookie dough with their wooden knife, velcro connects cookie pieces either keeping them together or letting out a satisfying cutting sound as the wooden knife slices apart the pieces. Bakers will need to lay out the cookies on their very own cookie sheet and when the wooden cookies finish “baking” use their very own small sized oven mitt to carry the pan. 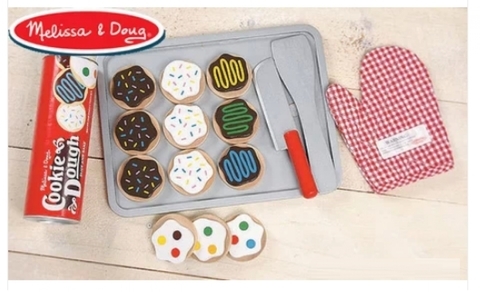 A spatula makes easy work of moving the cookies from pan to plate and with different frosting choices to choose from your little baker is encouraged to decorate as they see fit or maybe even fill an order fom you! More then just a toy!! 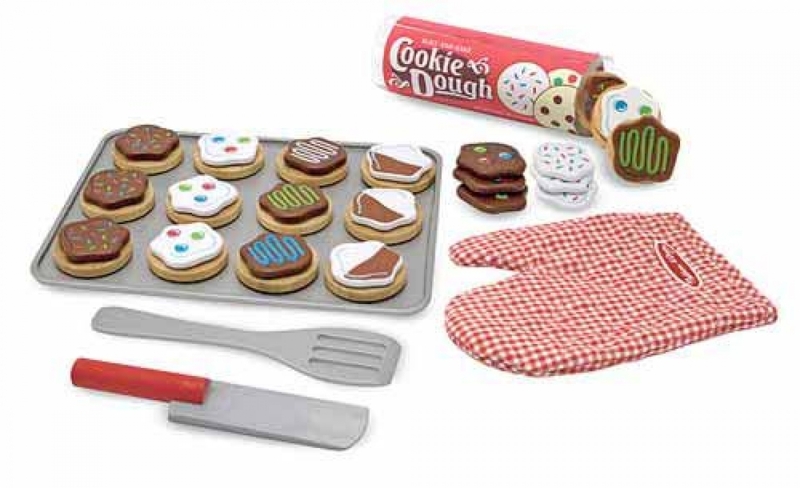 Spend hours of make believe fun whipping up dozens of cookies. You can count cookies, decorate them, or five your little baker a special order and have them bring them to you! 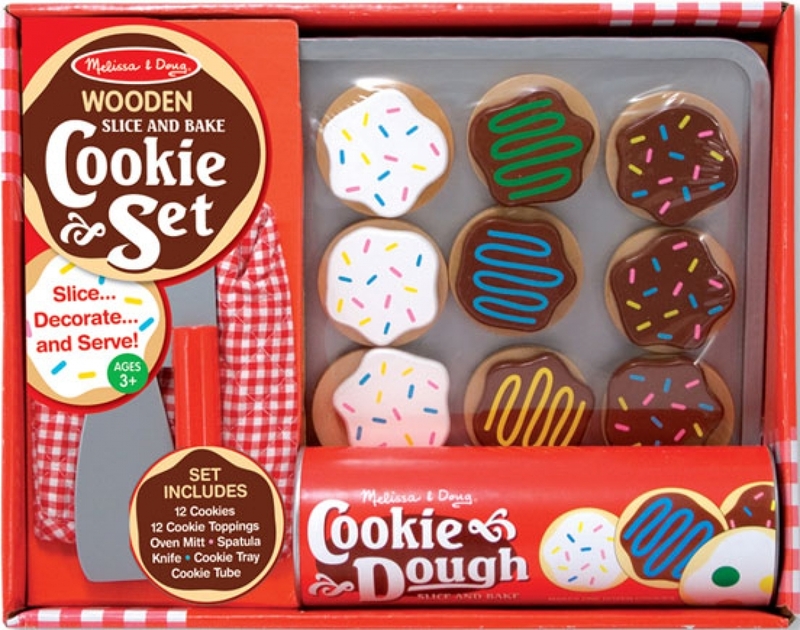 This fun and creative wooden slice and bake set encourages imaginative creative play and teaches simple shape and color recognition as well as basic counting skills.